We have to wait until Valentine’s Day to see Robert Rodriguez‘s Alita: Battle Angel but a new extended clip introduced by producer James Cameron gives us a look at “motorball” and some of the crazy cyborg-on-cyborg action we can expect from the live-action adaptation of Yukito Kishiro‘s popular manga series. The movie premiered at the Leicester Square Theatre in London and singer-songwriter Dua Lipa, whose “Swan Song” appears on the soundtrack for the movie, was on hand to help Cameron figure out how to take selfies. Alita: Battle Angel was written by Rodriguez, Cameron and Laeta Kalogridis. 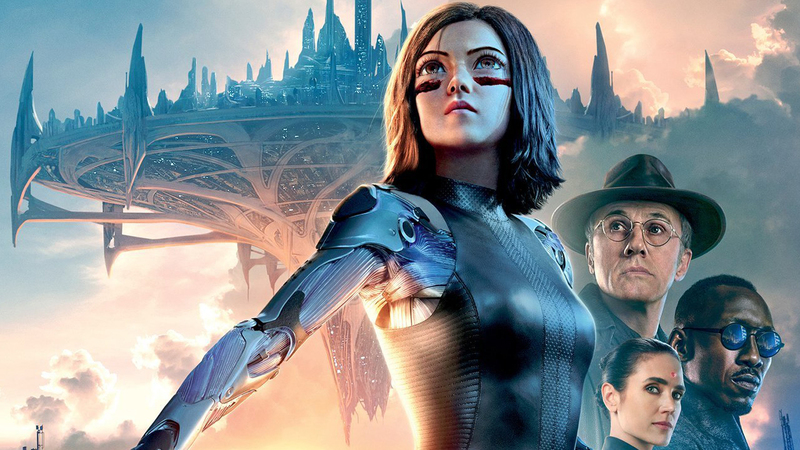 The film stars Rosa Salazar as Alita, Christoph Waltz as Dr. Ido, and Keean Johnson as Hugo, with Jennifer Connelly, Mahershala Ali, Ed Skrein, Michelle Rodriguez and Jackie Earle Haley in supporting roles. The movie opens in theaters on February 14th.